Note: Footnotes are below, if internal links don’t direct you there properly. Loops are powerful invocations, abandoning linear narrative for the intensity of a continuous present, capable of establishing, disrupting and directing temporal relationships. Media theorist Lev Manovich suggests the loop is actually “a new narrative form appropriate for the computer age,” even as it occupies a liminal, anti-narrative space between story and instance (Manovich xxxiii). The term ‘loop’ itself describes a complex range of repetitive gestures, from 3-second animated GIFs to middle-ground montage (establishing shots, action sequences in television) and the broader, or nearly imperceptible, cycles found in contemporary art (e.g. Douglas Gordon’s 24 Hour Psycho). Woven into longer segments, loops can even establish a haunting sense of repetition and reappearance, affecting the viewer’s relationship to the viewed and the recalled. This flexibility allows loops to serve as an effective investigation into the conflated space of time and memory. In the case of my own video work, they allow access and reference to the uncanny familiarity of television and its rapid-fire montage experience. The video components of The Cascade incorporate loops to provide the kind of mosaic understanding of space-place that come from a de-centered, semi-narrative form. The loop provides critical negotiation of the televisual structure and the ways we commit and recall memory-images, opening my artistic process to post-narrative methodology. The contemporary loop recalls proto-cinema and early avant-garde film—the active image repetition later supplanted by cinema’s reliance on linear narrative (Manovich 315). Early cinematic devices like the zoetrope and zoopraxiscope animated short sequences—dancers whirling, a horse jumping a fence, and so on, by “mapping time onto two-dimensional space” using sequenced, discrete images spaced around a circle (Manovich 51). These analog devices used physical motion to speed through individual shots, simulating activity within a closed-circuit (Manovich 296-7). They were capable of expressing an instant in time, a suspended action, often with its own micro-narrative (the horse jumps, the dancers dance), but without reliance upon storyline. With the emergence of cinema proper, the language of film abandoned the ‘artifice’ of the loop, avoiding repetitious sequences to stress the illusion of realistic ‘capture.’ The more cinema embraced capture, the more it bound itself to the forward-moving act of storytelling (Manovich 300-01). Cinema thus behaved like novels and theater, with clear progression through a series of events. Since early television heavily mimicked film, it initially embraced the loop-free approach (Fiske 15), but as television developed its own language and aesthetic system, it integrated (even centralized) loops for defining program elements, story structure, and all manner of serialized and episodic development—even systems of re-run, re-make, programs, commercials, and consumption. Loops also resurfaced in video games, animation and the internet, reincarnated as short videos, animated GIFs and the like, carrying a renewed sense of the immediate present (Manovich 315). In current pop culture, loops are critically, even playfully integrated into the fiber of daily life, popping up in Facebook feeds, apps, games and television, expressing emotion, advertising products, making political statements, and so on. Thus, loop forms are an alternative to cinematic narrative. Repetitive structure prevents a clear understanding of beginning, middle and end, erasing our reliance on static waypoints while expanding a single moment into a potentially infinite, self-spiraling universe. 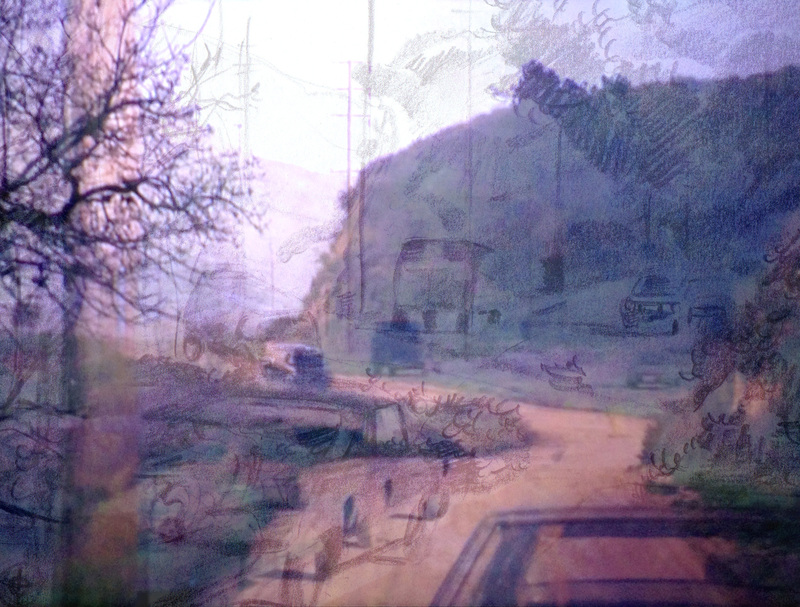 This allows contemporary artists to manipulate the viewer’s relationship to time and memory (even to place and event), just as the use of repeated sequencing in television programs reinforces the viewer’s sense of flow, place and character by offering a mosaic of recorded experiences the viewer must link by viewing. Where cinema unfolds an elaborate story system, loops invite focus, even frustration, functioning as discrete, contained occurrences or as open-circuit systems that manipulate the audience expectation set by visual media (Fiske 62). The loop in a broader sense can also describe the progress of televisual language (and structure) itself. Most programs rely on formula, such that viewers gain a sense of familiarity with series they have never personally watched, simply by participating in televisual exchange (Fiske 17). Unlike the linear drive of cinema, television reveals the nature of its ideas, characters and events as cross-referenced mosaics that may even span years of development (Fiske 125)(Footnote 9). In TV, literal looping segments become intertextual references, suggesting the repetitive structure of the programming and a GIF-like condensation of proto-cinema, while establishing rhythm, expository information and aesthetic value. The re-use of stock footage loops, for example, provides a punctuating rhythm that can link multiple seasons and ideas across, and through, the visual mosaic. Looping stock footage is an established television practice and though the loop may contribute to the story, it is actually a collapsed, or excised, unit of time, without narrative—used repeatedly to transition the primary material. Driving sequences from Emergency! and Adam 12 are excellent examples of this kind of punctuating loop. Each episode contains pre-recorded, circular footage of emergency vehicles or police cars leaving the station, hurtling through city streets or returning to the garage. The loops are not immediately apparent, but reveal ticks over time: the same cross traffic, pedestrians and clouds populate the time-frozen cycle. 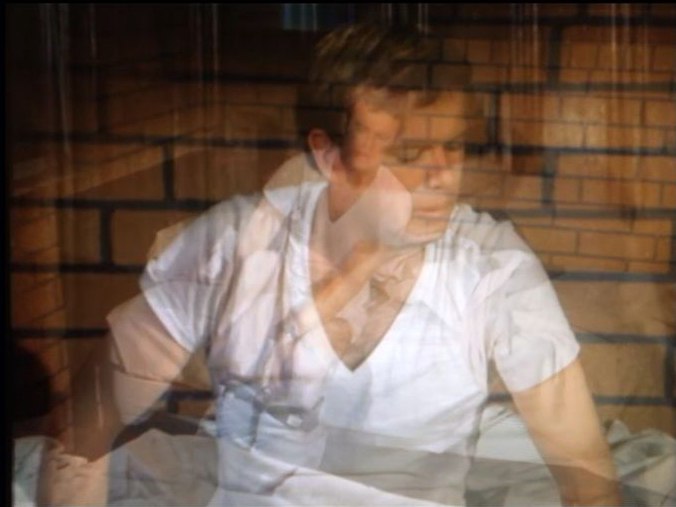 Repetition also suggests the endless, grueling process of rescue and law enforcement, so the loops also have conceptual meaning for characterization, but there is a composite relationship here, where action sequences and establishing shots form a kind of nonlinear temporality (135), resurfacing across multiple episodes to mark infinite spiraling points, yet the “narrative does not proceed as simple causality” (Birnbaum 137). Though the story moves forward because the police rush to the scene, the act of rushing is divorced and looped, intertwined with the “indiscernibility of the real and the imaginary, or of the present and the past, of the actual and the virtual…” creating double images, or looping engagements (Farr 23). In contemporary art, loops can provide overall structure, as in Gordon’s 24 Hour Psycho, Cory Arcangel’s Clouds (2002) or Stan Douglas’ Overture (1986). Punctuating longer works, or used in variation, the loop encourages viewers to consider the nature of time and the relationship between the reinvented continuous and the discrete, to see multiple potentialities simultaneously and to establish formal rhythm, as in Claudia X. Valdes’ In the Dream of the Planet (2002). Valdes employs intense cycles and ‘reincarnated’ excerpts, in order to direct viewer interpretation and to reinforce Cold War conditions. In The Dream of the Planet (2002)(Fig. 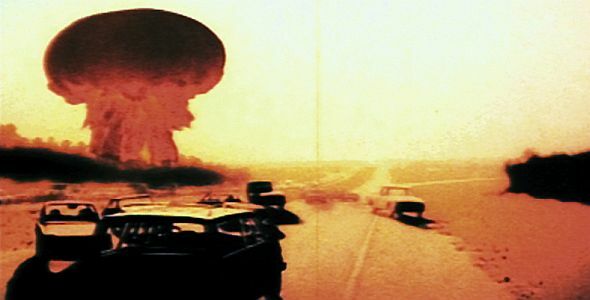 1), Valdes appropriates made-for-TV-movie The Day After (1983), compressing the two-hour film into a 56-second loop. The loop is repeated six times in rapid succession, with each incarnation skewed to emphasize a different aspect of Cold War anxiety: the military complex, social upheaval, survival, detonation, media, etc.… The original film grapples with a fictional nuclear escalation between the United States and the Soviet Union, culminating in a full-scale nuclear war. 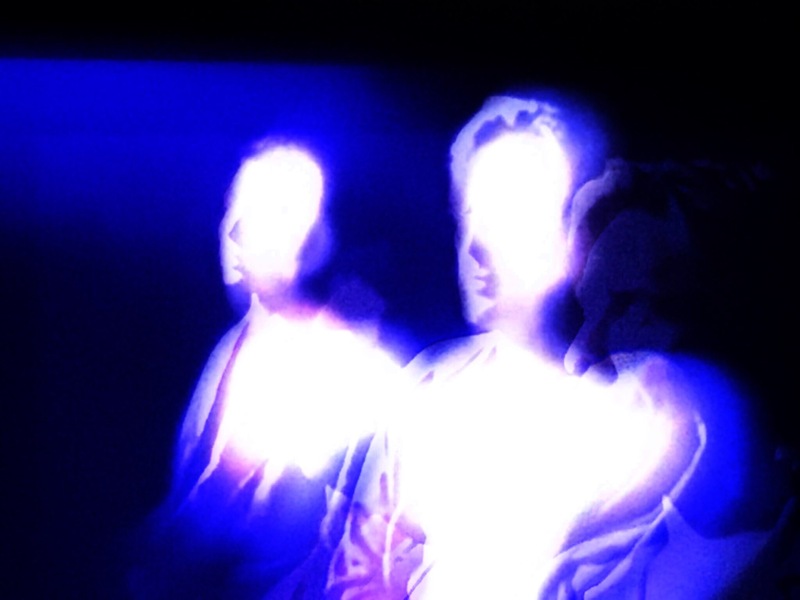 In the condensation, images hurtle past, allowing only a frantic glimpse of each person, each situation. The cycle slows with terrifying agony as missiles launch, buildings collapse and the media responds—distilling the doom of the original into a frenetic, semi-narrative commentary. The painfully recognizable, yet ultimately unreliable loop incites a state of hyper-arousal that parallels nuclear paranoia. Valdes’ ability to distill the made-for-TV movie, its subtexts and anxiety, with her own queries, is an excellent example of the haunted loop, which refers to, and reenacts, its own apparitional forms—making it incredibly relevant to the distillation of action and interaction in The Cascade. My video work considers the way loops are capable of suggesting the space of spatial memory and whether repetition provides a condensed sense of the mosaic found in televisual language. Embedded, unstable grooves offer the viewer contextual déjà vu—where they begin to identity recognizable sequences, but are confronted by uncertain, semi-narrative that haunts itself with its own re-visitation. This perpetual re-enactment suggests the denial of traditional story, while establishing a dream-like state where characters engage and re-engage, running over a tight temporality that flirts with story. So I Asked… (2014)(Fig. 2) establishes this kind of haunted, repetitious cycle via deeply interlocked, repetitious passages. Opening with two firefighter-paramedics caught mid-conversation (then interrupted by an emergency call), the tumbling, heavily altered stream collides with a rotating sequence of loops (a landing helicopter, a high speed gunfight, rescue vehicles en route, etc.). The loops continually intertwine, ghosted, as intensity builds. The increasingly anxious, overlapping dialogue suggests “something happens, is happening, goes on happening…” (Drucker 23), though sequenced temporality ruptures: the ‘goes on happening’ may actually occur before the initial ‘something’ that sets off the chain. 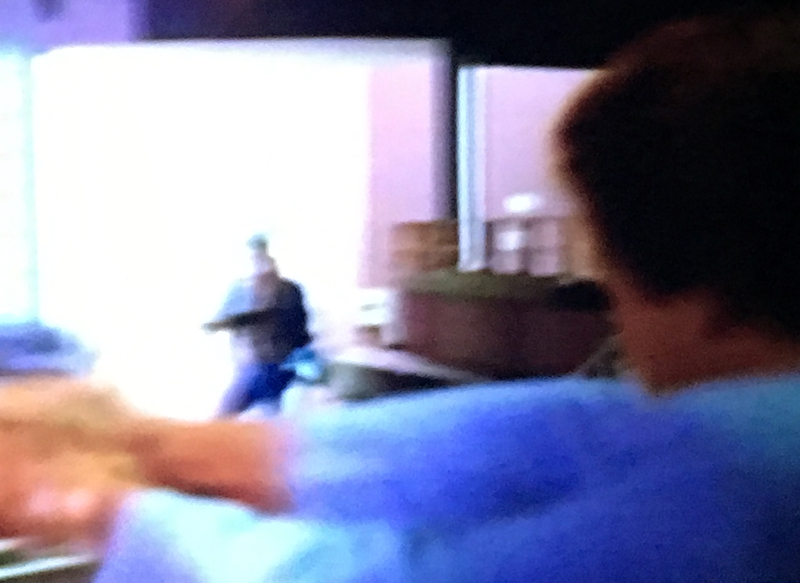 The paramedics seem to be responding to a gunfight, yet the rescuers themselves are caught in a disruptive loop that leaves the title question unasked and the rescue unresolved, though viewers can rely on their knowledge of televisual language to determine that a rescue has been, or will be, attempted. We are unable to rely on linearity, yet the hurtle of loops describe the events most likely to have occurred, though order is unclear—rather like catching episodes out of sequence, leaving us to infer connections. I also take into consideration the telescoping stages of video itself: the time of the original filming, editorial time in appropriative postproduction, the immediate present of the watching viewer, the viewer’s present-into-past transition and the after-processing (and any subsequent recollection). The intensity of repetition is meant to reinforce the experience of an immediate, unyielding present, both in terms of ‘story’ progression and reception. The moments-after transition through what has immediately passed suggests: “time flows and each present fades but doesn’t disappear” (Birnbaum 139), amplifying the sense of déjà vu as almost-identical snippets continually resurface. This holds true in Valdes’ work, as well as in the stock footage loops I reference in my own work. So I Asked… (and other Cascade videos) may even behave as fragmentary, fragile archives—bound by our desire to sort out the phenomena of “haunting,” and the activation of memory that occurs with reappearance (Farr 12). Are we seeing the same event as an instant replay? Are we remembering an earlier incarnation, or is a similar event happening repeatedly in the same space, over time? The embedded loops thus recall the instant-moment introspection of proto-cinema, or the characterizing, time-independent stock footage of the appropriated programs. The semi-narrative is stitched, overlaid and underwritten by time. Loops possess a kind of visual déjà vu adapted from proto-cinematic experiments, re-contextualized by digital culture, manipulated by television and increasingly fundamental to contemporary art. They are versatile vehicles of conceptual delivery, raw enough to link and characterize television and capable of leading to surprising engagements with the haunting re-enactment of contemporary life. Loops can be semi-narrative, providing time-introspective context for larger stories, or they can perform as narrative-defying moments of their own, operating outside traditional viewer expectation. They fundamentally speak of time, memory and reflective space, especially when divorced from big-picture enslavement, becoming a postproduction, anti-narrative engine, disruptive and interstitial. Repetition changes our engagement with the ‘place’ of moving image, making loop investigations a relevant, even vital, expression of our time—a way of zeroing in on the atoms of information flow. Adams, Ren. So I Asked… 2014. YouTube. 8 Aug. 2014. Web. 15 Aug. 2014. Birnbaum, Daniel. “Crystals.” Memory. Ed. Ian Farr. Cambridge: The MIT Press, 2012. 137-144. Print. Boyd, Mark Cameron. “Postnarrative Structure.” Theory Now. 10 April, 2008. Web. 17 Oct. 2014. Culley, Peter. “Two Works by Stan Douglas.” Vanguard 16:4 (1987). Dienst, Richard. Still Life in Real Time: Theory after Television (Post-Contemporary Interventions). Durham: Duke University Press, 1994. Print. Drucker, Johanna. “Temporal Photography.” Philosophy of Photography 1:1 (2010): 22-28. Print. Enwezor, Okwui. “Documents into Monuments: Archives as Meditations in Time.” Memory. Ed. Ian Farr. Cambridge: The MIT Press, 2012. 133-136. Print. Farr, Ian. “Introduction/Not Quite how I Remember it.” Memory. Ed. Ian Farr. Cambridge: The MIT Press, 2012. 12-27. Print. Fiske, John and John Hartley. Reading Television. Florence: Routledge, 1978. Print. Manovich, Lev. The Language of New Media. Cambridge: The MIT Press, 2001. Print. Valdes, Claudia X. “In the Dream of the Planet.” Portfolio. Claudia X. Valdes. 2002. Web. 26 Oct. 2014. Figure 1. In the Dream of the Planet (2012). Claudia X. Valdes. 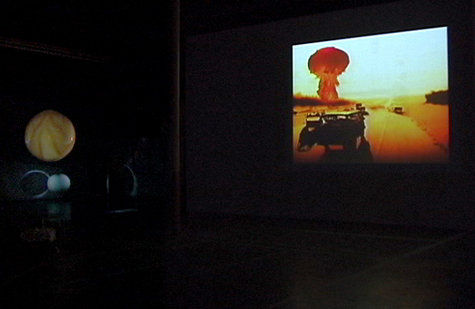 Video (Installation View). Figure 2. So I Asked… (2014). Ren Adams. Video. Manovich also suggests it is “relevant to recall that the loop gave birth not only to cinema but also to computer programming,” thus tying loop logic to database execution—a fundamental 20th and 21st century interface (Xxxiii)Loops are found in proto cinema and at the beginning of cinema, then re-emerge in new media. (215). Gordon’s installation incorporates two projection screens which simultaneously play an endless loop of Alfred Hitchcock’s Psycho (1960), one proceeding forward, the other backward. The loops move at only a few frames per second—so slowly that casual viewers may not even recognize change or directional progression at all. Longer consideration of the piece reveals the uncanny, unnerving and crystallized sense of frozen (yet endlessly progressing) cinematic time, as they loop in such long spans, few could sit through the entire motion—even as they are aware of the sweeping loop. Theorists like Paul Ricoeur and Jean-Paul Sartre suggest the uncanny, layered experience of memory is a process part logic, part hallucinatory. Ricoeur applies some of Henri Bergson’s memory theory, when interpreting Sartre’s psychology of imagination by describing a kind of intermediary memory as a mixed state, where “the ‘memory-image’ [is] halfway between ‘pure memory’ and memory reinscribed in perception” (Farr 14). The memory-image, or mixed media we construct in our minds, is never wholly factual, or entirely reliable, instead a play between the imaginary and conscious, between the interpreted and the understood. Dziga Vertov’s 1929 Man with a Movie Camera re-enacts the proto-cinematic loop, embedded in longer experimental montage that remains relevant to new media considerations (Manovich xiv, 316). forward a notion of human existence as a linear progression through numerous unique events” (315-316). Cinematic linearity is not just a storytelling structure, but an attribution of larger psychological ordering techniques in Modernity. At least mainstream/dominant cinema. Avant-garde cinema plays by different rules. Television theorist Richard Dienst claims television endlessly cuts away from program moments to return to the “traffic of images and sounds, to all the messages carried by all the messengers crossing through the world” (129). This creates a loop of program-commercial-program-commercial. Artist Nam June Paik echoes television theorists when he suggests “the fundamental concept of TV is time…” (Dienst 159). Television is recorded, produced, cut and offered in terms of time, so time is not only a fundamental concept, but also the fundamental shape of television. The familiar loops we encounter in viewing owe much to the backbone of the medium. Thus, “time is the substance of television’s visuality, the ground of its ontology and the currency of its economy” (Dienst 159). Their ubiquitous culture-wide return can be attributed to larger postmodern and ‘digimodern’ cultural shifts, not expounded here. Which more closely resembles oral tradition than novels or theater, where characters repeat, refrains establish elastic structure and context, but in which stories exhibit a kind of fluidity not found in directional cinema. Television has been likened to oral tradition by more than one theorist (Fiske 125). Viewers gain an understanding of characters and events by viewing, digesting and cross-referencing visual information. We get a sense of who Jack Bauer is, not because of lengthy cinematic development, but because we cross-patch, experience and unite threads from 9 seasons of 24. This is similar to the way in which audiences might come to understand the epic poetry or folktales of Odysseus or Coyote. Cinema and radio are considered ‘hot’ media because they extend and deliver a focused sensation; the viewer or listener watches, listens and receives to gain understanding. Television is considered a ‘cool’ medium because the viewer must do most of the work; “the screen supplies mere metonyms, we make them meaningful” (Reading 123). Because information about characters, events and plotlines are stretched across multiple episodes, even multiple seasons and years, and TV occupies living space, rather than the black box of the focused theater, television asks the audience to perform and engage. Episodes do not even need to be viewed ‘in order’ to garner a sense of the program’s reality. Thus, it is “only at the moment when the semiotic codes interlock with the cultural awareness supplied by the viewer, whose own context will play a part in shaping that cultural awareness” (Fiske 123). We may catch an advertisement for a new detective show or medical drama and already have a sense of the kind of language, pacing and aesthetics that are likely to be offered, related in part to past viewing experiences, or to general cultural understanding of genres. We know how sitcoms are meant to behave, etc. Thought it may contain the kind of micro-narrative present in the spinning zoetrope: the vehicles turn a corner, the firemen jump into the engine and leave, etc. Arcangel’s Clouds is a new media projection piece, endlessly rebuilt in real time from a modified Super Nintendo game cartridge. The background clouds from Super Mario Brothers provide an infinite, fabricated loop. In Stan Douglas’ piece, a 16mm Edison Company promotional film is looped under a narration from Proust. In the cycle, a train curves through a British Columbian landscape in an infinite circle (Boyd)(Culley). The voice-over is contemplates the transition from waking to sleeping, echoed in the uncanny monotony of the endless train ride. Here, the loop is at first uncertain. The film lasts 6 minutes—enough time to seem discrete, yet the viewer realizes the train is passing through the same terrain, just as our minds do (especially during the process of recollection). Here, the loop offhandedly illustrates the philosophy of Proust’s memory-grooves (Boyd). The Cascade is my three-part, interdisciplinary thesis, which includes painting, video and interactive elements. The interactive component also makes use of loops, though it is not discussed here. Due to my schedule, I was unable to watch the first four seasons of The Office in real time, or in ‘proper’ order. Instead, I watched their non-sequential re-broadcast in syndication, which made no attempt to present the series in linearity. Instead, I saw snippets of the before and after of several relationships and dramatic story arcs, piecing together the total experience by seeing events out of turn. The overall mosaic offered a smattering of details that came into focus only after viewing each puzzle piece separately. I thought of this as a critical motive when constructing my videos, as this is often the case with shows in re-rerun, or for viewers who miss a week’s installment. We understand television as mosaic, and we know how to complete the metonymic role of television (Fiske 123). We are the connotative agents (Fiske 41). 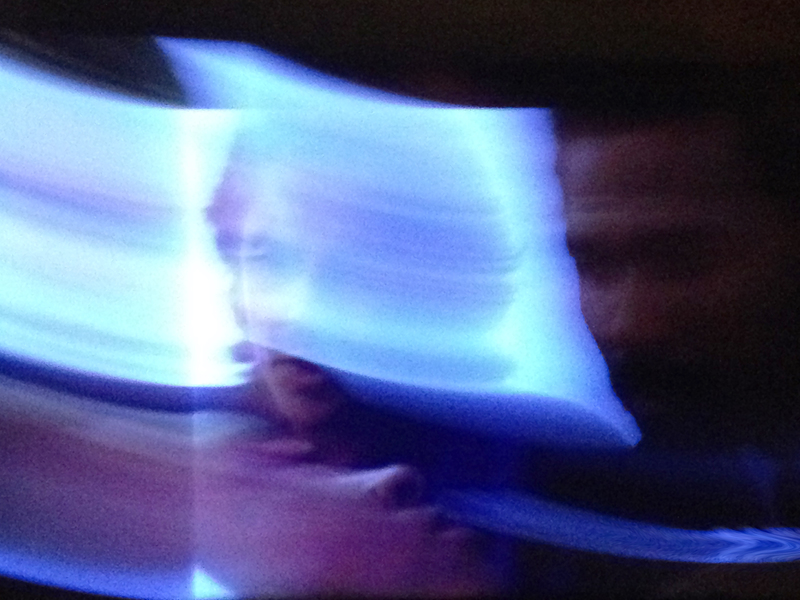 My videos intentionally reference the looping stock footage of the appropriated television programs. Loops invoke re-enactment, whether suggesting repeat activities or behaving as discrete repetitions in themselves. Thus, the overall atmosphere recalls previous stories and future adventures, while flirting with narrative, but not offering closure. By overturning cultural expectations of narrative progress, the videos undermine the process of viewing that we are most familiar with (Boyd). This entry was posted in Papers and tagged aib, aib boston, aib mfa, AIB mfa program, appropriation, art, art in progress, art institute of boston, art mfa, art process, art research, art theory, art theory papers, contemporary art, douglas, fine art, looping, lucad, lucad papers, mfa papers, new media art, postnarrative, video art, writing about art on November 7, 2014 by plasticpumpkin. Note: Footnotes are below (and relevant), even if page links don’t work. There are wormholes in Southern California; space-time tunnels that link varied points, fusing time with landscape, reality with the vividly scripted. 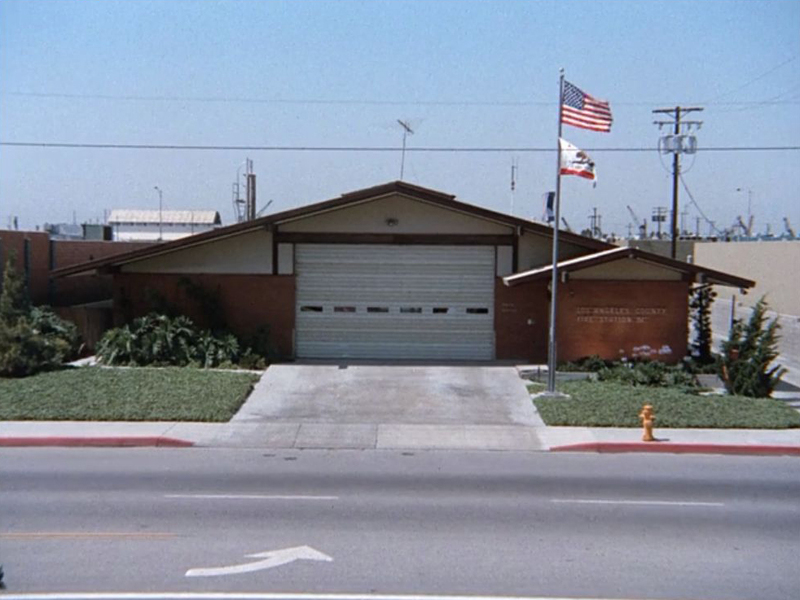 Los Angeles County Fire Station 127 is one such distortion—the perfect metaphor for the conflation of time, place, memory and contingency I refer to herein as the ‘telescoping elastic-space’ of mediated landscape. Media impact individual, cultural and historical negotiations, affecting our understanding (and even recollection) of locative forces. Televisual information also informs memory and our associations with real places and events, with little distinction between fiction and fact. Landscapes become dynamic memory-sites—active platforms that condense (and overlay) our perception of time, history and place. This interrelationship becomes multiform when landscapes are recognized or remembered in (and through) television—referencing the way media informs our understanding of space-place, generating connections to distant or imaginary locations and interactions. When we think of a specific, culturally mediated site—including settings only encountered via representation—we engage a spiral of physicality and temporal locality. The site is shaped by the mutable process of remembering and forgetting, by literal and virtual encounters, often without index. This elasticity is ripe for artistic investigation and I probe the condensation of place, time and media-memory in my interdisciplinary installation: The Cascade: Moments in the Televisual Desert. My engagement with the conceptual space-place of Los Angeles County and its entanglement with the real, the scripted, the culturally iconic and the personally mythologized considers landscape a functional site of cultural and geologic exchange. The work attempts to open dialogue between the real, the fantastical and the geologic, conflating place with time and allowing landscape to index a kind of relative oscillation: a memory-textured platform of exchange. Station 127 (Figs. 1 & 2) occupies a literal, physical location (at 2049 East 223rd Street in Carson, California), simultaneously operating within the scope of fiction, imagination, history and recollection—an active, transient state; a telescope of temporal engagements. In continuous operation since 1967, it has also ‘performed’ as the fictional Station 51 on Emergency! (1972-1977),—and whose interior was replicated on a Universal sound stage, with half of the filming occurring on-site, the other half on a precision simulacrum (Yokley 102). Through international syndication, the building became familiar to millions—its likeness spanning 129 television episodes, 6 TV movies, syndicated replay, photographs, individual memories (experiential and scripted), the lives of stationed firefighters, actors and producers who worked in its parallel metaverse, the journeys of media pilgrims, local populations, Google Street Views, websites, home videos, even fan culture inclusions (fanfiction, fanart). The native desert-urban space of the television program and the humble firehouse present a mythologized America, an elastic platform affecting public understanding (and cultural memory) of the American medical system and of Los Angeles, reframing the region for those who live it, and defining it for those who virtually experience it. Scholar-artist Renee Green suggests “many people’s earliest recollections now include films and TV or films on TV or played by VCRs. Memories include social and private recollections—how old I was, who I was with, where I was. Films themselves now serve an indexing function to assist in gaining access to memory,” (Green 53). Returning to our telescoping fire station, LaCo Firefighter/Paramedic Jeff Brum describes his youthful fascination with Emergency!, claiming it directly influenced his decision to become a paramedic; the fiction of media-place influenced his career. Later, Brum was actually stationed at 127 and found the confluence of personal, televisual mythology and lived experience uncanny. The physical reality “still looked like it did in the TV show,” yet Brum was now living the hyper-real by literally embodying a once-mythical media role in life, in the literal, physical location where the show was filmed (Brum qted. in Yokely 103-104). Television narratives themselves have become part of our working memory-experience, blended with the actual to become a ‘hyper-actuality,’ tied to moments, perceived experiences and places. TV distorts our sense of the “situational geography” of social life, allowing us to be present at (and to remember) both real and fictional events that occurred across vast and even imagined geographic locales (Buonanno 19). The limits of physical space no longer solely determine who we are, or what we remember. 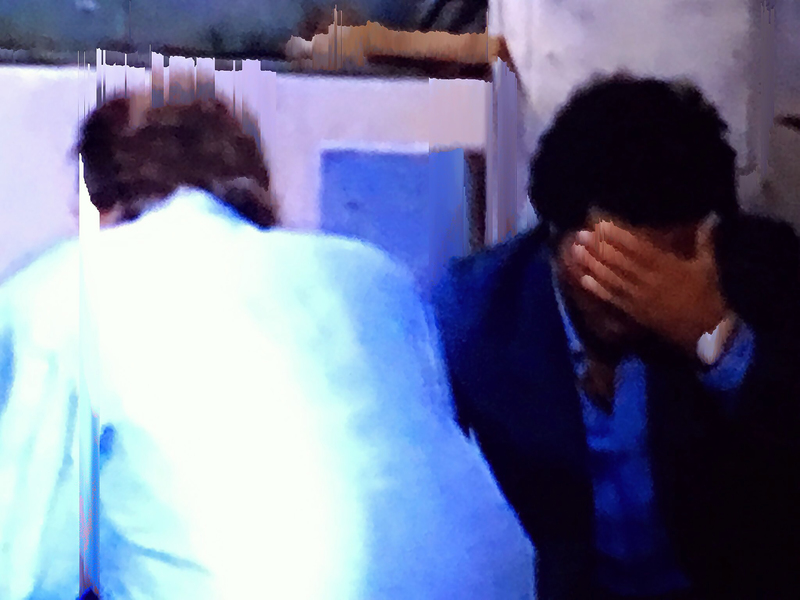 Dislocated televisual experiences transcend physical geography (Buonanno 86) and, in fact, “where TV confronts the real, or Being, it is no longer easy to say where real ends and the deviation, distortion or diffusion begins” (Dienst xii). In Brum’s case, the two are permanently intertwined. This phenomenon is not limited to a two-engine fire station, of course. ‘Telescoping elastic-space’ can describe nearly any media-imprinted monument, cityscape, building, or region. The Vasquez Rocks (Agua Dulce, California) are another excellent elastic-point, capable of referencing the collision of the personal-historical and the ubiquitous, packaged nature of ‘experience’ through Hollywood. Google it and you find a wormhole of interrelated and meta-referential material—including screen captures from Star Trek “Arena” (Gorn vs. Kirk! ), scenes from Star Trek the Next Generation (which meta-references “Arena”) and The Big Bang Theory, the latter of which features characters in Star Fleet uniforms, performing a media pilgrimage to the site of Star Trek filming fame, as they operate within a fictional superstructure that recognizes both the ‘realness’ of the national park and the media-memory embedded in both viewer and character (inciting future imitation of the imitation). The literal Hollywood-referent site collapses past and present, personal and cultural, underscoring the idea that the Vasquez Rocks are part of a lived, regional experience, even as they embody a semi-fictional fantasy-space which can literally be traveled to, but which requires some act of memory or fabrication to complete the connection. In a broader sense, these memory-resident sites take on a mythical status, a link to the lore of Americana itself (Bourriaud 97). Both fire station and rock formation embody a telescoping rift of extant space, imagined worlds, and personal history. 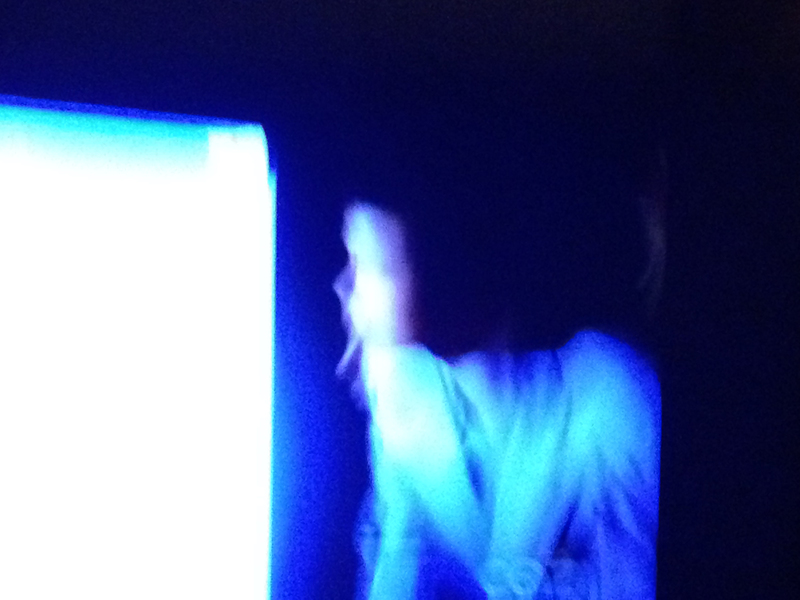 Television happens in (and affects) real space, in real time, no matter the resulting moments and relationships. The fire station is real. The rocks are real. They are subject to the passage of geologic time and human intervention. Scholar Johanna Drucker suggests “every photograph has temporal dimensions… the time of exposure, historical time, time of development, cropping, the time of reception and circulation—like any other cultural artefact… caught in a web of ‘varying temporalities’ (Drucker 23). This can be expanded to television representation, which is composed of similar temporal dimensions, including the time it takes to film, edit, cut, score, playback, broadcast, syndicate, and so on. 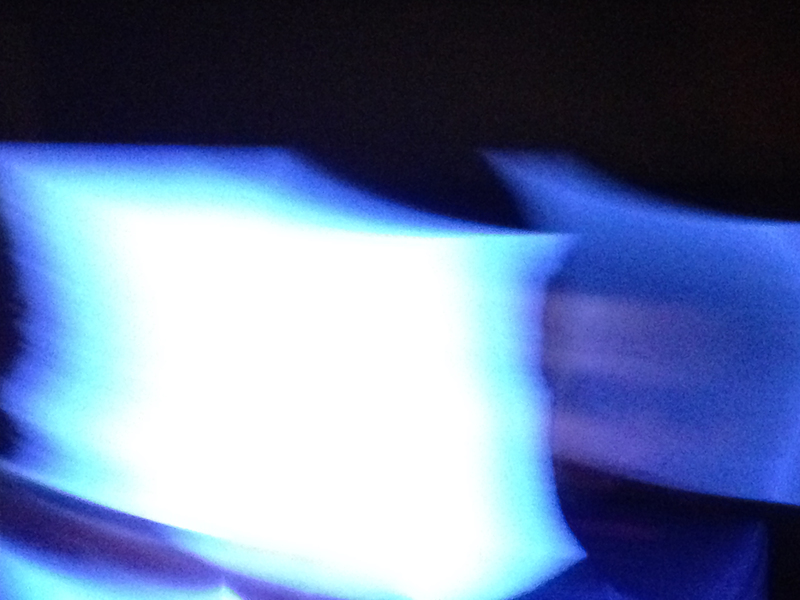 The image and its time-sandwich, moving or still, becomes an experiential event. Every reference, episode, story—every encounter with people, the physicality of stucco, bricks, urban density, coastal industry and desert canyons overlay the site-platform, viewable as a collapse of points into one presence; a present that identifies, even revisits, its own history, fiction and future. The Cascade: Moments in the Televisual Desert extends this flexible, television-inflected space beyond the metaphoric Station 127 to encompass greater Los Angeles County, with its juxtaposed urban-desert environment, endlessly indexed through the specter of Hollywood. I am interested in this landscape as a site of personal, cultural and social exchange—mediated through programs that were filmed there during the height of Hollywood. As a child, I recognized the collision of my lived reality-space with the fiction of televisual time—the TV screen mirrored my sense of place. Famous programs played out in familiar environments—stores, streets, freeways and regions, forming a simulacrum of my world, or perhaps a wholly present extension of it. This virtual landscape, collaged and montaged, deflated the distance between broadcast and reality, in some ways nullifying the distinction. Theorist Alfred Shutz suggests—there are “multiple realities” in our life-worlds (Shutz, qted. 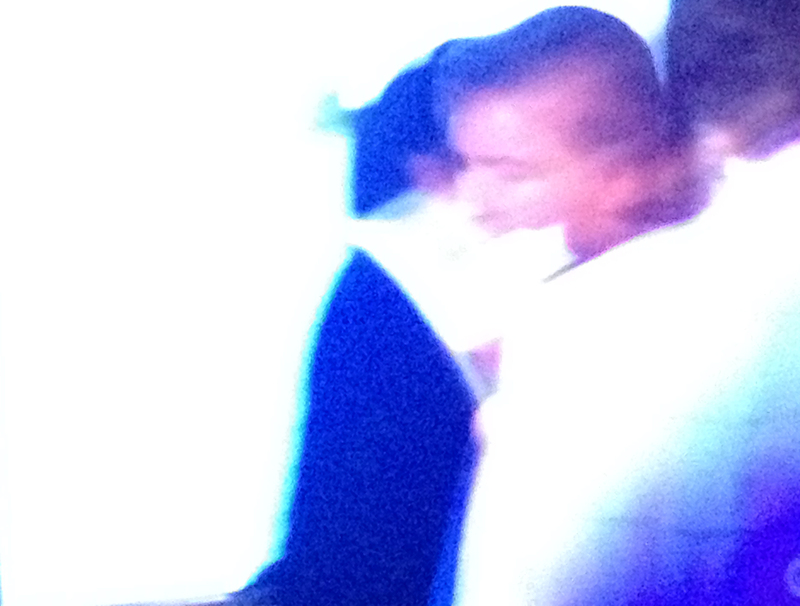 in Buonanno 75); media-inflected wormholes that form who we are. For Shutz, “TV’s imaginary worlds flow with everyday life; it blurs separateness between orders of reality.” (77), co-existing in multiple states. The TV-mediated landscape becomes a permeating condition not limited to Mojave Desert locals, extending a collage of interpretive micro and macro relationships made possible by telescoping elasticity—as each viewer navigates their own media wormhole. Video works from The Cascade… deal with this wormhole effect, tackling the fusion and fracture of landscape as it encounters the language of television. To develop videos, I use footage sourced from a handful of television programs filmed in LA County, mutating and manipulating clips in order to emphasize a pervading sense of landscape as root (and catalyst) for media-site experience. I cross-reference actual locations, excavating instances of city and desert, action and interaction, in order to collapse, condense and entangle sequences that defy narrative resolution. Elements tumble in a time-warp montage, flirting with story, yet existing only as suggestions linked by place and space. Events may be concurrent or overlaid on the same spot with years, hours, moments or only seconds between instances. Thus, connections repeat, fracture, loop and expand, folding moments back in on themselves as if caught in a transient spin. Encounter (Fig. 3) provides an almost theatrical, yet televisual, experience that suggests the rich mythology of the supernatural desert—a well-circulated cultural memory-myth. A web of events occur along the same strip of desert highway, collapsing televisual time around an endless night. The ambiguity combines memory and fantasy as characters negotiate a sequence of encounters—from the suggestion of alien abduction and military conspiracy to the complexity of interpersonal relationships. Familiarity with the original source material is not necessary, as the language of television remains—as does our cultural awareness of ‘encounter’ tropes. The unstable event ‘simulcasts’ multiple points in telescoping space—actions and events taking place in simultaneity, yet with a fleeting sense of before, during and after: “something happens, is happening, goes on happening…” (Drucker 25). 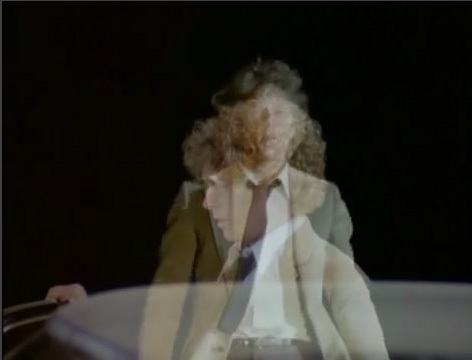 These traces are once removed from their physical location by the original filming, again removed by the act of capturing a temporal instant, then re-entangled with an incomplete, cross-time patchwork. The mutative environments thus inhabit the actual, the imagined and the transient place of recollection, emblematic of a collapsed space conflating personal history, geologic reality and cultural mythology. The videos attempt a kind of hybrid memory experience; history interceded by television. 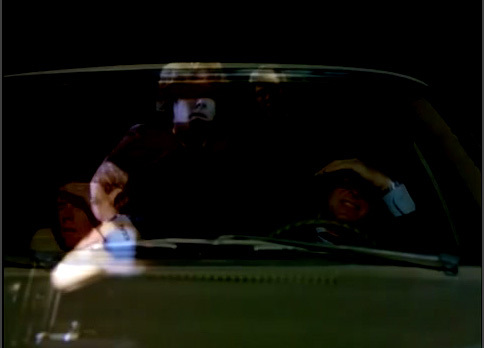 Repetition even invites the viewer to experience a certain déjà vu, as characters repeat motion sequences and camera zooms. Movement and layers suggest time, though there is no single, grounded moment—instability, ambiguity and contingency speak to the unreliability of memory, geology and Hollywood fabrication. The videos play on theorist Margaret Sundell’s suggestion that “we encounter the struggle to represent ‘what it might be like to momentarily inhabit the gap between an object’s existence and our ability to pin it down” (qted. in Farr 21). It reminds us that for every act of recollection, every fictional performance, there is a physical and experiential subtext—and that media affects our understanding of history, myth, location and identity. In this case, I attempt to activate a telescoping elastic-space by re-entering the language of video. TV enables an image of history as an “assemblage of dissembled distances from the instantaneous present” in one respect, but the present is always rebuilding itself, and revitalizing the once-old (Dienst 78), just as television constantly cannibalizes its own history in a continuous present. Telescoping elastic-space connects varied points in time, physical space and personal experience, exhibiting the kind of “televisual flux [that] emits a new kind of history—jumbled, familiar, open—which is never yet ours.” (Dienst 78), yet never completely separate from our perception. It is like the distance between the indexical photo and the digital image which can represent that which never existed, while mediating assimilated cultural (and personal memory) in virtuality. The mutable telescope has no beginning and no particular end. Even after the fire station is demolished, the geologic site remains to link a new series of relationships. Figure 1. Los Angeles County Fire Station 127. 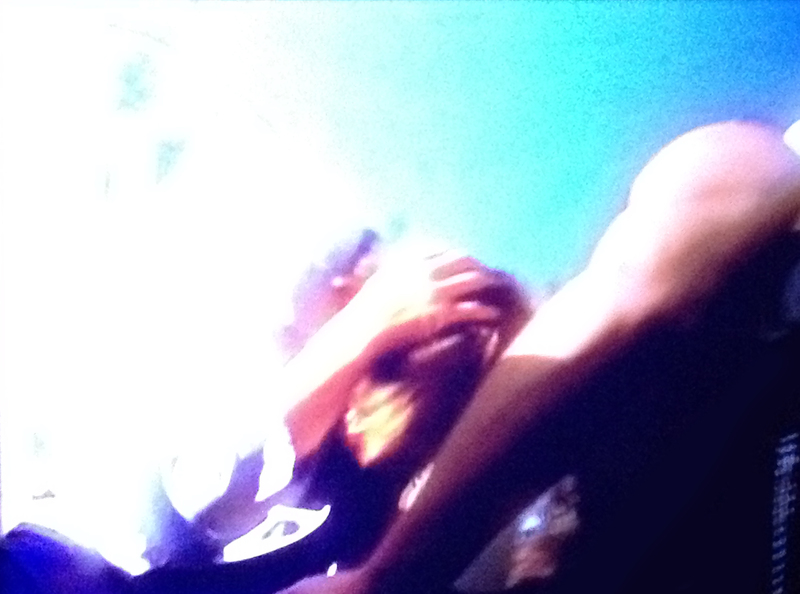 Screen capture from Emergency! Season 2, Episode 10, “Dinner Date” (1972). Figure 2. Los Angeles County Fire Station 127. Google Street View. Google. Image captured Nov. 2011. Web. Accessed 6 Aug. 2014. Figure 3. Encounter (2014). Ren Adams. Video. Bourriaud, Nicolas. “The Journey-Form (3): Temporal Bifurcations.” Memory. Ed. Ian Farr. Cambridge: The MIT Press, 2012. 96-101. Print. Buonanno, Milly. The Age of Television: Experiences and Theories. Trans. Jennifer Rice. Chicago: Intellect, Ltd: The University of Chicago Press, 2008. Print. “Filming Locations.” The Official Dwight Schultz Fansite Message Boards. The Official Dwight Schultz Fansite. 22 Oct. 2013. Web. 18 Aug. 2014. Green, Renee. “Survival: Ruminations on Archival Lacunae.” The Archive. Ed. Charles Merewether. Cambridge: The MIT Press, 2006. 49-55. Print. McCoy, Kevin. Mentor meeting. 3 Sept. 2014. Newcomb, Horace. Television: A Critical View. Oxford: Oxford University Press, 2006. Print. Reyes, Jorge. YouTube Comment. “Station 51 Inside Tour.” YouTube. YouTube, LLC. 9 Feb. 2013. Web. 3 Sept. 2014. Yokley, Richard and Rozane Sutherland. Emergency! : Behind the Scene. Sudbury, MA: Jones & Bartlett Learning, 2007. Print. Cinema also frames our understanding of location, identity—even ideology, but for this paper, I focus on televisual impact and television theory, especially given the vital differences between televisual and cinematic language (Farr 23). An hour-long, American medical drama produced by R.A. Cinader (Adam-12) and Jack Webb (Dragnet), which had measurable impact on the growth of paramedic and emergency response programs (Yokley V-VI, 16-17). In recognition of the show’s effect on the American medical industry, the Smithsonian inducted equipment (including the BioPhone and helmets) into the National Museum of American History, a fascinating cross-over between the scripted, the iconically hyper-real and the nationalist narrative of the museum-archive (Yokley VI). Television theorist Milly Buonanno suggests “media pilgrims travel to sites where TV was filmed. The visit can take on a ritual occasion. The rare opportunity to be physically present in the real place where TV was filmed” (79-80). Bridging this gap recognizes the poignancy of real-unreal connections, and liminal spaces between extremes. Visiting the real makes the fictional experience all the more real, even if the pilgrim knows the site is fictionalized. Shows like Emergency! function as an early form of Google Street View; a proto-virtual-database of streets and locations, caught on tape as establishing shots (McCoy). The actual television footage becomes a semi-documentary process of space-time that reminds us the programs are shot in real, yet mutated, space. 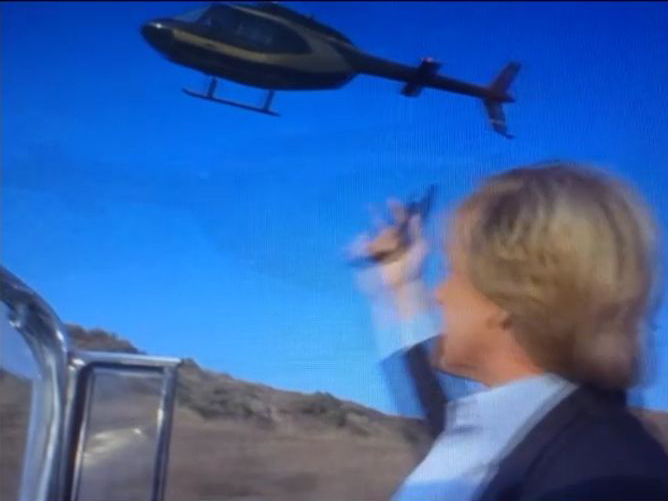 Fan sub-culture, like the memory-seekers at the Official Dwight Schultz Fansite travel to locations captured in The A-Team (1983) which also spans greater Los Angeles County. Fans journey (literally, or via Google Street View) to match television mythology to real sites, discovering which places still exist and which have undergone dramatic change (“Filming Locations”). They build a collaborative archive of material online. For many, their only understanding, or at least their earliest understanding, of California comes from virtual representation. For those who lived there, before or after the original filming, the televisual information adds new depth to the personal experience. …concepts she actively investigates in her own work. Many of Green’s pieces, like Partially Buried in Three Parts, start with a “genealogical trace” tied to the artist as individual, but which negotiate broader considerations of media as history, monument, and time (Merewether 50). For Green, media allows the viewer to regain a sense of access to past events, while considering the way media itself affects personal, social and cultural social memory (Merewether 53). It can even encompass entire nations and national identities. The image of America presented to non-Western cultures, by way of media distribution, carries with it the kind of interpretive sense of space-place locative media can imply. American heroes and theories, frustrations and ideologies are packaged, either overtly or as blended subtext, within American televisual products. The televisual information become exports subject to a space-place that affects how ‘outsiders’ understand, perceive, and even expect America to behave. A mentor of mine originally viewed The Wonder Years in India, before moving to the United States. Set in the 1970s and idealistically scripted for a 1980s Baby Boomer audience, the dramedy presented a non-specific, typified American suburban pseudo-reality that my mentor understood as a factual representation of life in America. In this case, his understanding of American socialization was heavily influenced by the ‘Anywhere, USA’ fantasy that itself was tied to a non-indexical (and metaphoric) version of a typical suburban landscape. He later showed his wife, also from India, the series, in order to give her an idea of what American children experienced in school—though most viewers, myself included, recognized the saturated, sentimental and fabricated nature of the content. Beyond Hollywood references, the photo deluge includes pets and campers, models and postcards, run-of-the-mill landscape photography, fan remakes of TV sequences, selfies, digital manipulations and official park materials. This whirl of media tourism—fun in itself, is more compelling when we consider the way sites become iconic memory connections between fiction-reality and physical space. The height of Hollywood-in-Hollywood. Now ‘Hollywood’ as televisual concept includes countless production sources. The project may be rooted in my personal connection to Los Angeles County, but it is important that the landscape of my childhood was itself the body of Hollywood. By 1960, American television was Hollywood (Newcomb 34). The impact of media-memory on the relationship to site is a textured, multi-faceted web that affects those who lived in the depicted spaces, as well as those who only saw it through television, including others mentioned throughout this paper, like Matthew Meyer, Jorge Reyes, Jeff Brum and members of the Dwight Schultz Fansite. The site is actually the Vasquez Rocks National Park. YouTube user Jorge Reyes posted an anecdotal, relevant comment on one fan’s filmic documentary of his media pilgrimage to Station 127: “my parents purchased a 1974 Nova at Cormier Chevrolet, and one morning (sometime in the mid 1970’s) my brother and I accompanied my father to the dealer for car service. I suggested to my brother (I was about thirteen years old, and he was around eleven.) 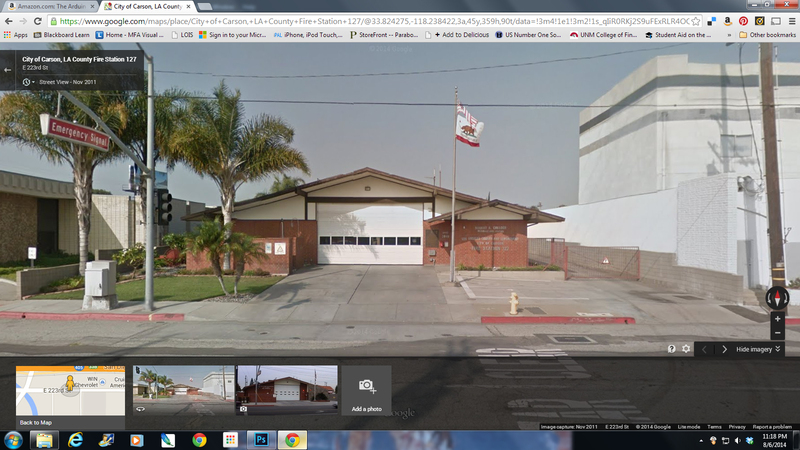 to go for a walk around the corner, and we encountered the station looking exactly like the one in the program, and as a firefighter drove in, apparently reporting for duty, I confirmed with him that it was the Emergency station, but it was not Station 51; it was Station 127. I still have the two 110 Kodak film prints, and negatives, that I took that day (I happened to have my Kodak “Hawkeye” 110 camera with me that morning, and I still have that little camera to this day. ); one shows my brother in front of the station, and the other is of the refinery-type structures across the street visible on some program exterior scenes.” Reyes’ personal account ties his childhood experiences to both a system of documentation and confirmation, planting then-contemporary experiences with a show he was already familiar with, still currently watching, and which, years later, still stirs site-based recollection. Archived and older television still exists with a strange vitality that eludes even classic cinema. The televisual past gets renewed via the abundance and proliferation of specialized viewing (with growing veracity thanks to genre channels and on-demand delivery). Television is a medium that contains its own history and frequently resurrects and cannibalizes it (Buonanno 21). History becomes constantly mediated by viewing it in the endless present. By re-using television from previous decades, I also re-engage the archive, opening and re-contextualizing material with a personal bend that still grapples with undying media tropes. This entry was posted in Papers and tagged abstract art, aib boston, art institute of boston, art mfa, art research, art school, art theory, conceptual art, landscape and memory, landscape theory, lucad, papers, ren adams, video art, writing about art on October 6, 2014 by plasticpumpkin. This is a paper excerpt. To read the entire paper, download the PDF from the handy Papers page. We live in an age of information—a socio-cultural climate that straddles the material and immaterial, our daily interactions taking place across physical and theoretical environments. The phrase “Information Age” itself endeavors to define an entire sphere of existence, production, interface and influence. Technology frames it. It proliferates across the arts and sciences, through economies and empires—and an ethereal, pervasive component, information itself, occupies the core, in place of steam and iron. Information is the philosophical spark of all matter and non-matter, all theory and concept, all communication and commodification. The Information Age is the heart of Postmodernism, the platform of Post Postmodernism, hinging technology, digital visual culture and interdisciplinary thinking. Within it, we have unprecedented access to data—all artistic styles, all points in history and geographic locations in a single click. Space and time collapse in the face of this new, digitally-driven landscape, redefined by delivery and access, shaped and re-oriented by the “Information Age” itself. As we encounter the data cascade, “each of us constructs our own personal mythology from bits and fragments of information extracted from the media flow… transformed into resources through which we make sense of our everyday lives” (Jenkins 3). This pronounced hypertextuality of information allows we contemporary artists to mix style, medium and influence on multiple levels, developing the privatized, remixed language Frederic Jameson feared out of a kind of celestial jukebox, itself interconnected to the mythology of others. Making use of this connectivity, information and new media have become vital to my visual art production. Several recent projects, like The Cascade, investigate this hypertextuality of time, space and matter, informed by information flow, across various mediums. The result is an alchemy of image that addresses the time collapse, integrating micro and macro layers that echo multifarious networks and the constructed personal mythology we generate in our daily lives. The 20th century saw tremendous interdisciplinary evolution (Gleick 9, 242-243). Theorist James Gleick (and physicist Fritjof Capra) argue that our awareness of information itself led to many 20th and 21st century breakthroughs, changing our understanding of everything from telephony to the network relationships traceable from star systems to DNA (Gleick 8-9) (Capra 35). Information was paradoxically understood as a pulse freed from semantics, as in Information Theory, and as heavily-laden language. Both physical and ethereal, it describes the transmission, replication and even biological order of all things. The study of information even made digital technology possible. In my course of research, I discovered that analyzing the information cascade, in all its manifest forms, is another way of accessing the interconnectivity (and generative nature) found in Eastern philosophy and physics that I worked with in the past. It also relates to the network of matter, social systems and data flow found in Fritjof Capra’s writings, equally important to my visual considerations. While researching source material for previous work, I became fascinated by the process of digital research itself. I would sketch the Vazquez Rocks from memory, then Google additional photos. What resulted was not a static spill, but a Choose-Your-Own-Adventure style hypertext journey. It led from vacation shots at “Gorn Rock” to maps, street views, paintings, postcards, weather reports, TV stills and film caps, all from various eras, with varied intent, some of which referred to the pre-existence of other images in an endless feedback loop. The search results are a hypertext “cloud” of concepts related, sometimes indirectly or tenuously, to the Vazquez Rocks. In this instance, snapshots taken in the 1950s occupy the same digital space as recent cell phone caps or Vine videos. The cascade of images effectively reduces the Vazquez Rocks to a series of suggestive, webbed data streams that a viewer can explore in a non-linear, metanarrative fashion. It forms a virtual relationship between time, spatial location, regional influence and an alchemy of virtual geography. Add the storied detail of our own micro readings to the mix and this new kind of relativity allows time to lose linearity in deep digital space. If you were to draw a map of the related links and remixes, the web-like clusters would uncannily resemble the very nature of our universe’s biggest galaxy networks: superclusters (Figure 1), as well as models of internet connectivity (Figure 2) in data flow and hardware. Theoretical physicist John Archibald Wheeler manifestoed, “Information gives rise to ‘every it—every particle, every field of force, event he spacetime continuum itself’…” (Wheeler qtd. in Gleick 10). Theorist James Gleick himself claims “information is what our world runs on: the blood and the fuel, the vital principle,” where atoms are the basic units of matter, bits are the basic units of information, themselves describing the nature of the atom’s existence (9-10). Biophysicist Werner Lowenstein even articulated the transformation of the term “information” itself: “ The information circle becomes the unit of life… it connotes a cosmic principle of organization…” (Lowenstein qtd. in Gleick 9). Also dubbed “Pseudo-Modernism” and “Digimodernism” (Kirby). Theorist Alan Kirby identifies this kind of access as a fundamental paradigm shift, a rupture of existing cultural relationships: “Digimodernism identifies as the critical event in contemporary culture the profound and shattering encounter between computerization and the text. Its most recognizable form is a new kind of digitized textuality—onward, haphazard and evanescent—that disrupts traditional ideas about authorship and reading, and is found on Web 2.0, a range of applications…” I would argue that it explodes the broader concept of “text” itself, with things like the re-orientation of the idea of the original (Jarvis) and the strange collapse of all eras of information and all geographic locations into a binary-based, digitized space-time environment (or, deep digital space). “Hypertext” refers to the plastic referentiality of text (and information) made possible by electronic devices. There is a sense of immediacy and interconnectivity within non-linear space. Branching structures resemble trees, galaxy filaments or network superstructures. “Hypertextuality” allows one to “transcend the linearity of the written text by building an endless series of imagined connections” (Riffaterre qtd. on “The Torque”). “Hypertext” is also used to describe not only “imagined connections,” but literal, web-like relationships that can be accessed from any point. According to Jameson, pastiche is used in Postmodernism due to the erosion of the idea of a linguistic or cultural norm as a result of increased language privatization (130). Jameson was concerned about growing linguistic bubbles that would generate parallel, but separate, paths of interaction. With pluralism, the Modernist idea of a linguistic, cultural pinnacle goes right out the window. The “celestial jukebox” refers to a global bank of information and material that can be used and remixed cross-culturally and cross-technologically (Wasow). Contemporary artists can work across mediums, across the limitations of style, choosing the right components and context for projects in “remix” fashion. Style becomes a tool, not an end-game in itself, and importance is placed on context, arrangement and association (Jarvis) (Binkley 237-238). As such, no style, no medium is off-limits. Edward Tufte describes macro and micro readings in Envisioning Information. He uses a street view map of New York to illustrate the viewer-activated phenomena of generating “individual stories about the data” when viewing visual information (Tufte 37). Someone who lives in the city would have extended micro readings of the street view map, shops visited, favorite lunch spots, perhaps even identifying life-event locations like the place where they celebrated graduation, or suffered a break-up. The map contains layers of theoretical information applied by the viewer, which varies dramatically between individuals. A tourist who visited the same locations might also have micro readings of a macro map, as would someone familiar with the setting via movies or television. Someone who had never been there and knew nothing of the setting would have a broader macro understanding of the map as a piece of data, providing insight into a distant series of structures. This kind of extended context allows for what Tufte calls “storied detail,” and layered reactions connected to the “relationship between the measurements of its space and the events of its past” (38). Eli Pariser also refers to the “unique universe of information for each of us” (9), as we navigate and extrapolate information and experience from the filtered digital experience. Notably diverse fields like physics, mathematics, biology, electronics, telephony, code-breaking, linguistics and even psychology expanded and overlapped, corresponding to the rise of a new age—the rapid increase of movable data and technology (Capra 5). 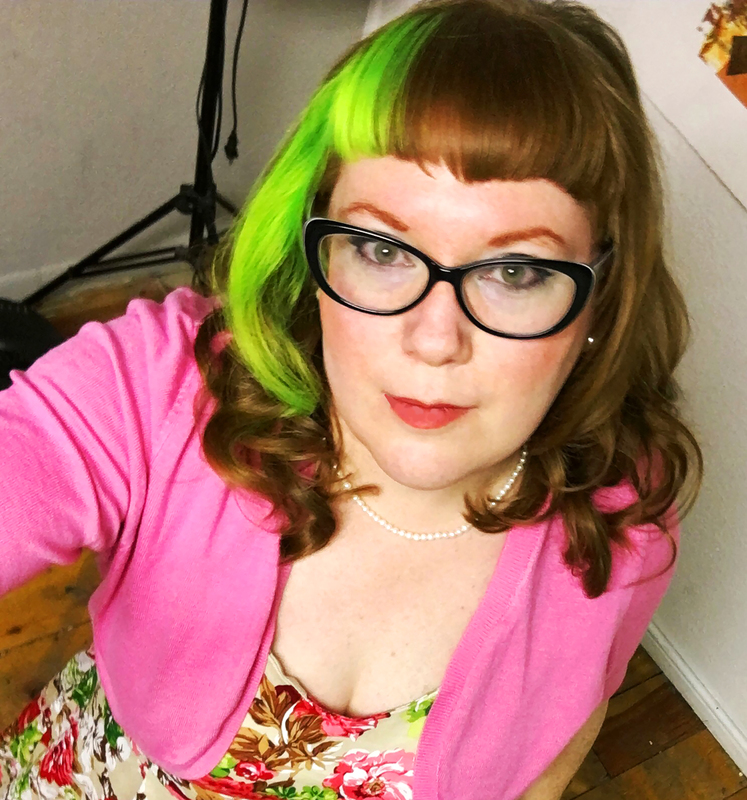 My research included information theory, networking, digital culture, astrophysics, the internet, convergence culture, video games, spectacle and new media, which builds naturally on my previous research, allowing me to investigate 21st century concerns more directly than previous work. The body of work I completed in 2012 investigated the nature of emergence—matter and non-matter, the point at which being emerges from non-being. I explored the relationship between physics and Taoism, finding that the seemingly different language of philosophy and mathematics were intertwined, often describing identical conditions. Layering elements mimicked strata unearthed in archaeological digs and its resulting reveal of relative truth. Pieces were two-dimensional, on paper, and combined printmaking with mixed media, emphasizing the interdisciplinary. Newer work is pushing the mixed media even farther and incorporating some of what Eli Pariser called “transmedia,” expanding my field into web-based, time-based and digital overlap. The Vazquez Rocks are a rock formation located in Agua Dulce, California (Mojave Desert), north of Los Angeles. 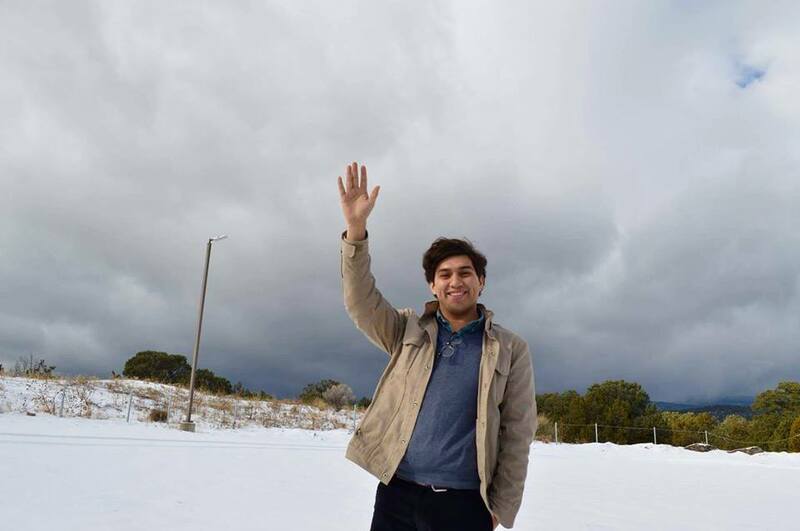 They are part of a 745 acre county park, minutes away from Santa Clarita and Palmdale. Though the formations are millions of years old, they’re best known today for guest appearances in countless films, television and commercial productions (Digital-Desert). Of interest to the feedback loop of referentiality were shots of people reenacting fictional narratives, which occupied the same digital space as the “real” screen caps of the original Hollywood narratives. The intertextual reference of characters imitating characters at the site was especially prolific for Hollywood backlot sites like the Vazquez Rocks. For example, the cast of The Big Bang Theory dressed like Star Trek The Next Generation characters, stranded at the Vazquez Rocks—where the Next Generation episode they refer to via costume was itself originally a reference to the infamous Kirk vs. Gorn battle in the Star Trek episode, “Arena,” itself a pastiche of older science fiction shorts recorded at the Vazquez Rocks. Choosing any side topic, such as the Kirk vs. Gorn fight itself, yields another spiral of fractured, referential (yet networked) results—everything from fan art and fan-reenactment to screen caps and contemporary parody. The de-centering of the traditional narrative is a primary component of Postmodernism, Post Postmodernism and digital visual culture (Darley 56). The “meta” progression intensifies in digital culture, where web pages, image searches and even web sites can be viewed in any order, accessed from varied sources and dispersed across unrelated platforms (Flickr photos curated on Pinterest, then shared on Twitter via Pinterest). The “proper” viewing order gets turned on its head and new, macro and micro, contextualization occurs. The feedback aspect of the image loop is also vital, as it indicates a recursive, almost organismic system. A Google search (or Picasa database) might span all times, eras, moments and progressions, allowing us to hop hypertextually (or intertextually) between moments, condensing them into the same instance of experience. This entry was posted in Uncategorized and tagged aib mfa, art theory, digital considerations, fine art, mfa, new media, ren adams, ren adams art, the cascade project, writing about art on November 22, 2013 by plasticpumpkin.